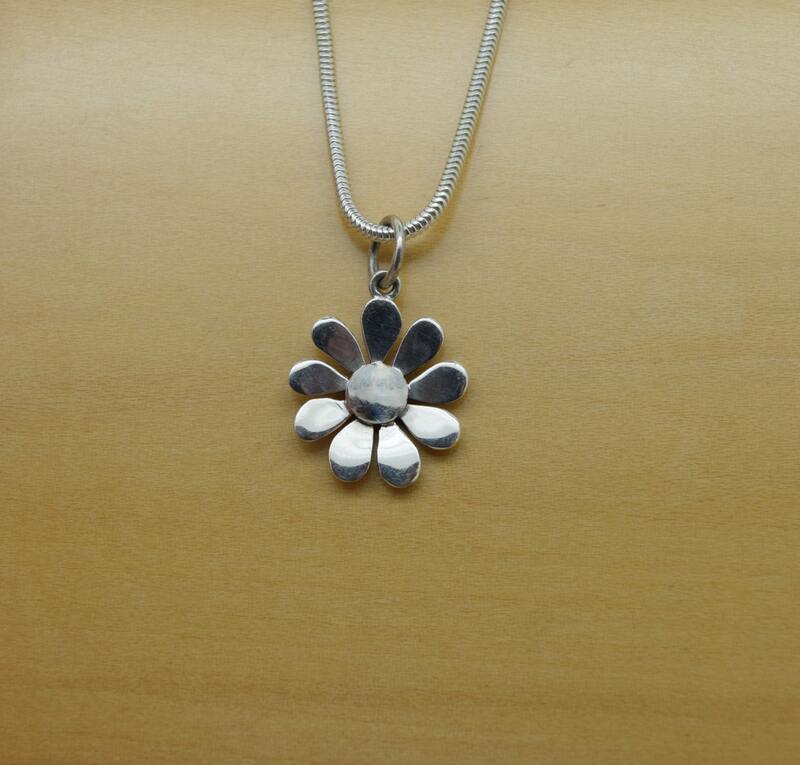 Handmade in Cornwall - Solid Silver Daisy Pendant. Can be hung on assorted styles and lengths of chains or on a leather. 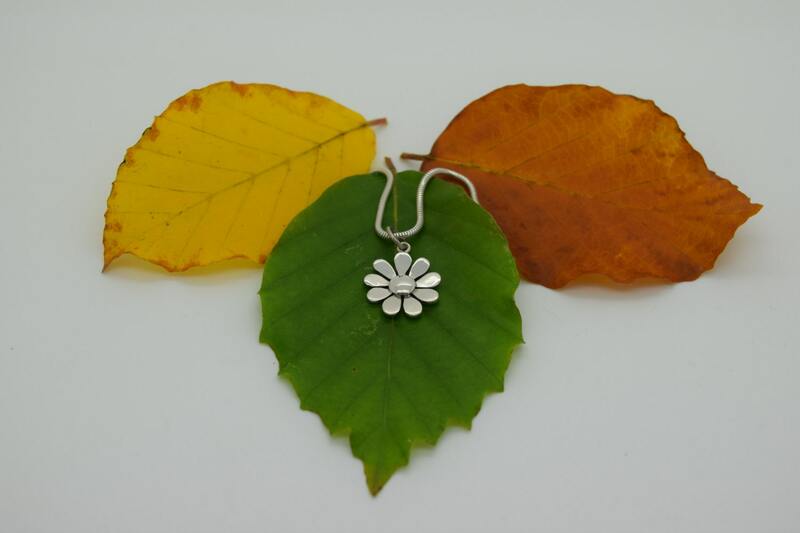 It can also be sold as a charm suitable for a bracelet.